Plenty of breaking news today from New Jersey, where the hopes of PokerStars to re-enter the US online poker market will be a bit delayed, if they occur at all. Spurred on by a teaser piece published by Poker Player Newspaper and confirmed in generalities by several other sources, PokerStars won’t be among the businesses approved to offer online-gambling services in New Jersey when the state releases its list of approved vendors and service providers later today. This isn’t to say that PokerStars has been specifically denied; instead, it appears Stars will be left in an unapproved state to give the company a chance to correct the situation that is likely preventing approval: the ongoing legal situation between the federal Department of Justice and Stars founder Isai Scheinberg, who has officially stepped down from the company but is widely reported to still be in firm control of many of Stars’ operations. Scheinberg, as many of our readers already know, remains one of three of the 11 individual “Black Friday” defendants who has never surrendered to US authorities for resolution and possible prosecution of alleged crimes committed as the largest US-facing sites sought ways to offer instant deposit options to American players. A second PokerStars exec, former Director of Payments Paul Tate, is another of the three, while the third is former Absolute Poker CEO Scott Tom, who is quite openly evading US jurisdiction on the island nation of Antigua. Even though the core activity that Stars offered — online poker — was later interpreted (in late 2011) to not be a crime under existing federal US law, the other activities that major sites Stars, Full Tilt and AP undertook likely crossed other legal lines. That’s created an ongoing problem for PokerStars; even though Scheinberg agreed to step aside from the reins of privately-held PokerStars parent Rational Group, turning over control to his son Mark, there’s been plenty of circumstantial evidence that Isai is still calling the shots. 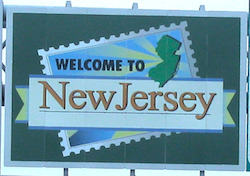 New Jersey, if today’s reading of tea leaves is correct, doesn’t think it can risk given away a key to its online kingdom to a privately held company that may have attempted to excise its legal concerns with a simple name change, no matter the warm regard the PokerStars brand is given by consumers. There have also been reports in recent months that a possible deal was in the works between Scheinberg and the DOJ, some sort of settlement, no doubt with hundreds of millions of dollars forfeited to the DOJ. This piece is typical, suggesting Stars and Scheinberg sought a “no prison time” deal… if indeed such talks took place. But whatever was talked about didn’t happen; no deal was consummated, and Isai Scheinberg officially remains a fugitive from US law. I would say that anybody who is not going to make it, you more than likely will find that out from the company themselves because you’ll see a situation very similar to what you just saw in Massachusetts where the company that is being evaluated withdraws from the process…. Now, they may withdraw because they just don’t want to deal with you anymore and they figure that regulators are being unreasonable, they may withdraw because they see the handwriting on the wall, or they may withdraw because they don’t think there’s a business opportunity here for them anymore where they can make money. So I don’t want people to believe that a withdrawal automatically connotes that the company has findings of unsuitability because that’s not true. More than likely, if we have the ability to do so, when you look at these companies, you look at the individuals who are running them to see if they have the right character, suitability, and what are the tentacles of the leadership as such that it taints the whole company, or if it’s such you just cut out the person and they get replaced by somebody who is of good character and honesty and integrity. As a regulator, I don’t like to be in a position of killing a company unless I can show that the leadership, the tentacles of leadership are such that they have unduly influenced the operation of the company so that no matter who you take out, you can’t correct the problems that you’ve identified. I think history will show that in New Jersey, a lot of times the person will divest their interest…. Whether or not PokerStars subsequently announces a withdrawal of its application remains to be seen, though it’s software deal with Resorts International Atlantic City is now in jeopardy, and that casino’s online brand will almost certainly not launch by Nov. 26th, when the state’s first sites go live. What is instead seen is that New Jersey may give PokerStars and Isai Scheinberg an opportunity to find a way to permanently part ways — that is, if Stars is at all serious about re-entering the US. That’s because New Jersey represents PokerStars’ best chance to reestablish a US toehold, and if the company fails there, it could well; be shut out for good. The bad news for PokerStars is that, as a closely held, private company, its very difficult not only to rid itself of its controlling core, but to then be able to prove that it has done so successfully to the satisfaction of outside regulators. A parallel can be seen in the announcement just last week by bwin.party that PartyGaming co-founders and important shareholders Russell DeLeon and Ruth Parasol DeLeon are divesting their shares in bwin.party. In it’s release, bwin.party declared that the DeLeons were leaving to allow the New Jersey licensing to go forward. Bwin.party’s relative advantage is that as a publicly held firm, the divestiture by the DeLeons is easily to confirm, and as a aresult, bwin.party is expected to receive a conditional waiver later today, allowing them to go forward in their software deal with the Borgata. PokerStars, by comparison, faces a much more difficult divestiture task. Is today’s lack of approval a death knell for PokerStars’ US hopes? Possibly but not for sure, but the clever part of New Jersey’s stance is that they’re leaving the final say in that entirely to PokerStars.